The Damascus Declaration (Arabic: إعلان دمشق‎) was a statement of unity by Syrian opposition figures issued in October 2005. It criticized the Syrian government as "authoritarian, totalitarian and cliquish," and called for "peaceful, gradual," reform "founded on accord, and based on dialogue and recognition of the other." ^ a b "The Damascus Declaration". Carnegie Endowment for International Peace. 1 March 2012. 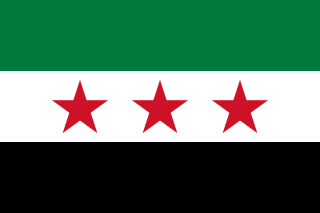 The Syrian National Council, sometimes known as the Syrian National Transitional Council or the National Council of Syria, is a Syrian opposition coalition, based in Istanbul, Turkey, formed in August 2011 during the Syrian civil uprising against the government of Bashar al-Assad. Burhan Ghalioun, is a French Syrian professor of sociology at the Université de Paris III Sorbonne University in Paris, and the first chairman of the Syrian opposition Transitional National Council (SNC). He was named chairman on 29 August 2011. His chairmanship was criticized for his perceived closeness to the Muslim Brotherhood, his early reluctance to arm opposition forces, and what opponents called the autocratic nature of his leadership. 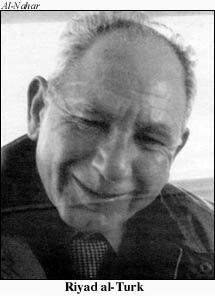 On 17 May 2012, feeling he had become an increasingly divisive figure for the council, Ghalioun resigned. The National Coordination Committee for the Forces of Democratic Change (NCC), or National Coordination Body for Democratic Change (NCB), is a Syrian bloc chaired by Hassan Abdel Azim consisting of 13 left-wing political parties and "independent political and youth activists". It has been defined by Reuters as the internal opposition's main umbrella group. The NCC initially had several Kurdish political parties as members, but all except for the Democratic Union Party left in October 2011 to join the Kurdish National Council. Some opposition activists have accused the NCC of being a "front organization" for Bashar al-Assad's government and some of its members of being ex-government insiders. The National Alliance for the Liberation of Syria was a coalition of Syrian opposition groups, supported by the Iraqi government. The foundation of the National Alliance took place in Paris in March 1982. The charter of the National Alliance was tramsitted by Voice of Arab Syria on March 22, 1982. The National Alliance called for armed popular struggle in order to topple the al-Assad regime. The Movement for a Democratic Society is the ruling coalition of the Syrian Democratic Council, the legislature of the Autonomous Administration of North and East Syria. The leading party in the coalition is the Democratic Union Party (PYD). The Conference for Change in Syria, or Antalya Opposition Conference, was a three-day conference of representatives of the Syrian opposition held from 31 May until 3 June 2011 in Antalya, Turkey. 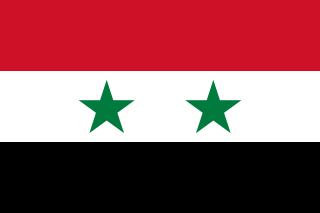 Since the early days of the Syrian civil uprising, it was the second of its kind, following the Istanbul Meeting for Syria that had taken place on 26 April 2011. The Syria's Tomorrow Movement is a Syrian opposition party founded in March 2016 in Cairo by Ahmad Jarba, a Syrian National Council member. The party is backed by Egypt and the United Arab Emirates and cooperates with the National Coalition for Syrian Revolutionary and Opposition Forces, although it is not part of the coalition. They also cooperate with the Syrian Democratic Council and the associated de facto autonomous administration of the Democratic Federation of Northern Syria. The Free Officers Movement, also called the Free Officers Brigade was a Syrian rebel group that operated during the early phase of the Syrian Civil War in 2011. The group consisted of defected officers and soldiers from the Syrian Armed Forces. The first Northern Syria regional elections were held on 1 December 2017. Local councils for the Jazira Region, Euphrates Region and Afrin Region were elected as well as for the subordinate cantons, areas and districts of the regions of Rojava. This followed the communal elections that were held on 22 September and will be followed by a federal parliamentary election of the Syrian Democratic Council, the region's highest governing body, initially scheduled for January 2018, but was later postponed.